BOOTMGR is missing. Press Ctrl+Alt+Del to restart. BOOTMGR is missing. Press any key to restart. 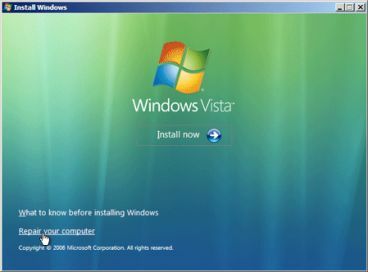 The error happens when you delete, accidentally or intentionally vital Windows system files, or the files become corrupted or been destroyed by virus or malware, broken hard drive sectors, outdated BIOS, damaged or loose hard drive interface cable, and it may be also caused by improper install of Windows activation crack. In whichever case, you no longer able to access to Windows desktop environment. Restart the computer and try to boot again. Ensure that the boot order or boot sequence in BIOS is correct so that the “bootable” device is listed first. Or check the USB ports, optical drives and floppy drives for media or external drive, just in case the computer tries to boot from connected media which is not bootable. Try to reseat all internal and external PATA and SATA data and power cables, just in case the cable is loose, unplugged or faulty. To fix the BOOTMGR is missing error, for those who do not want to reinstall Windows, a lot of users is actually using Windows DVD media to boot up the computer, and then perform a startup repair of Windows, which should replace any missing or corrupt files, including the BOOTMGR. Here is the permanent solution to solve BOOTMGR is missing error by repairing or restoring BOOTMGR file. Simply follow steps outlined in guide below. Insert Windows DVD media or USB flash drive into DVD-ROM drive or USB port, and boot up your computer using CD-ROM drive or USB flash drive. If your computer doesn’t boot up or at least prompt you to ask whether to boot up with CD-ROM drive or USB device, you need to change the boot up sequence setting in your BIOS. You can download official Windows 10, Windows 8.1 and Windows 7 ISO from Microsoft. 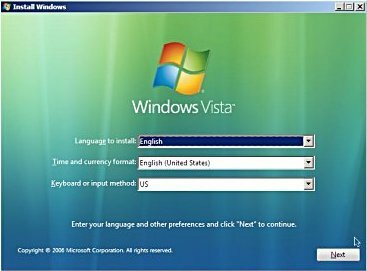 At the “Install Windows” window, select your preferred language, time and currency format and keyboard or input method, and then click on “Next” button. On the next screen, click on the “Repair your computer” link on the bottom left corner. Choose which Windows installation that you want to repair, in case you have many copies of Windows partition. In the case you have only one installation, the choice is obvious. 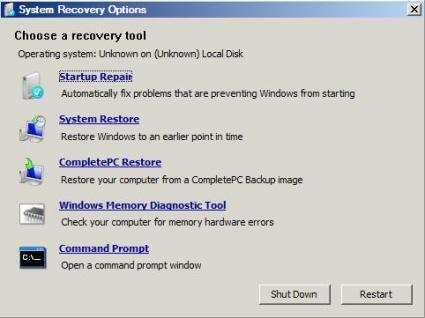 In the “System Recovery Options” window, click on Startup Repair to automatically fix problems that are preventing Windows from starting, including missing BOOTMGR. The recovery process should be pretty fast completed. Then take out the media, and try to boot up your computer using hard disk to check if the BOOTMGR is missing problem is solved. If you still facing problem, try the second option – “System Restore” instead, which should be able to recover and replace back original good BOOTMGR if the restore point is created before BOOTMGR is missing.